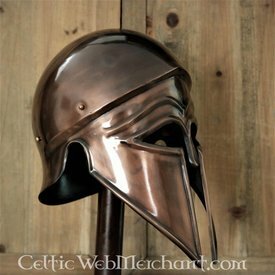 This helmet is a movie replica from the movie Troy. 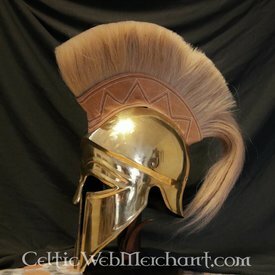 This helmet was worn by Brad Pitt as Achilles. 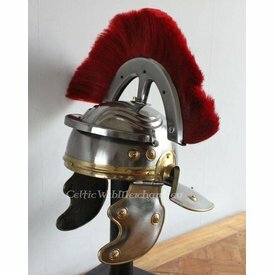 The helmet is inspired by historical models, but they are less open and provide a less better field of view. 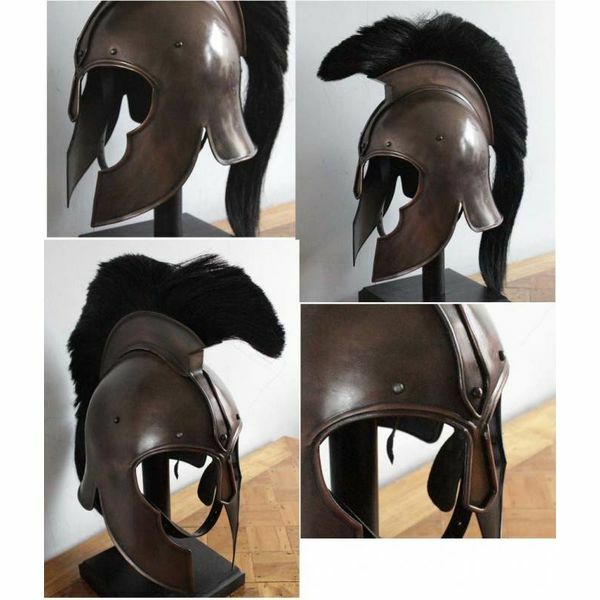 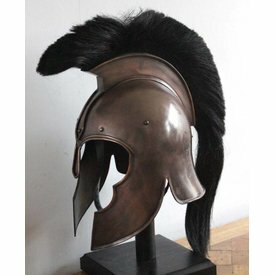 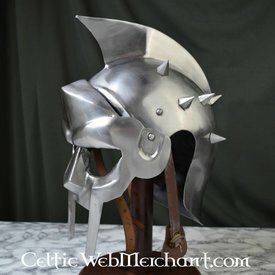 This helmet is made of 1,2 mm thick steel and is perfectly suited for LARP and theatre. 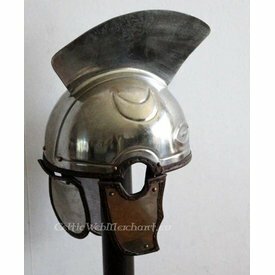 It has a leather inlay and a chin strap and is suitable for a head circumference op to 62 cm.